C O R O L L O . D K og B A T C H A I R . D K er tegnet af Knud Vinther. Knud Vinther er født i Odense d. 28.08.1948 og har været beskæftiget med produktudvikling, design og grafisk fremstilling igennem 40 år. Knud Vinther er oprindeligt handelsuddannet og har været beskæftiget som sælger, salgschef og direktør med speciale i produktudvikling, markedsføring og grafisk fremstilling og som patentingeniør. Et banebrydende produkt var opfindelsen af et samlesystem til møbler og butiksinventar - all-ways system - der blev patenteret i 8 lande. Opfindelsen blev belønnet med en international 1. pris i 1984, der blev uddelt til Knud Vinther som opfinder og til Norsk Hydro som producent. Knud Vinther har frembragt talrige designs og patenterede produkter. Nogle af disse produkter kan ses på de efterfølgende fotos. C O R O L L O . D K and B A T C H A I R . D K are designed by Knud Vinther. 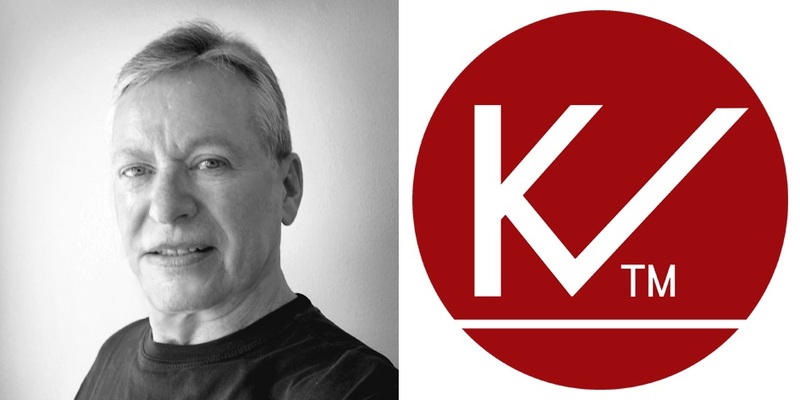 Knud Vinther was born in DK-Odense on 28.08.1948 and he has been in business with development, product designs and graphic designs throughout the last 40 years. Originally Knud Vinther was educated in business as a salesman, sales manager and managing director, having the specialities product development, marketing and graphic designs and as a patent engineer. A revolutionary product was the invention of an assembly system for furniture and shop equipment - all-ways system - which was patented in 8 countries. The invention was awarded with a 1st prize in an international competition in 1984, granted to Knud Vinther and the manufacturer Norsk Hydro. Knud Vinther has made numerous designs and patented products. Some of these products can be watched below. Andre resultater kan opnås ved søgning i bl.a. Tyskland og USA. Other results may be obtained by searching in Germany and in USA. 1. An assembling component for rigidly interlocking with two or more identical components, to lock plates and the like together, comprising a base and a hook-shaped member integral with the base and having an outer side and an inner side, said hook-shaped member shaped such that at least a portion along the outer side of the hook-shaped member is congruent with at least a portion of the inner side of the hook-shaped member of a second identical assembling component when said base bears against the base of one of the identical assembling component and said hook-shaped members are interlocking and shaped such that at least two of the identical components may be interlocked about a nodal line by pivotal movement of each component about the nodal line and such that the last remaining identical component would require insertion in the direction along the nodal line with the base of the last remaining identical component bearing against the bases of the adjacent identical component to form a rigid structure. 2. The assembling component according to claim 1 wherein the surfaces of the bases which bear against one another are congruent. 3. The assembling component according to claim 1 wherein the entire outer surface of the hook-shaped member is congruent with the entire inner surface of the second assembling component. 4. The assembling component according to claim 1 wherein the tip of the hook-shaped member includes curve-shaped sections. 5. The assembling component of claim 3 wherein the tip of the hook-shaped member includes curve-shaped sections. 6. The assembling component of claim 2 wherein said bases and said hook-shaped members are shaped such that when four components are interlocked the four bases form a square and a portion of the surfaces of contact between the bases are generally positioned along the diagonals of said square. 7. The assembling component of claim 2 wherein the entire outer surface of the hook-shaped member is congruent with the entire inner surface of the second assembling component. 8. The assembling component of claim 6 wherein the entire outer surface of the hook-shaped member is congruent with the entire inner surface of the second assembling component. 9. The assembling component of claim 1 wherein said outer surface of the hook-shaped member includes a curved section, a first straight section adjacent the curved section and extending from a curved section toward the base and a second straight section positioned at an angle to the first straight section and extending from the first straight section toward the base. a locking member disposed in said hole for urging the portions of said hook-shaped parts adjacent said hole against each other, said locking member exerting a camming action which thereby forces said radially directed surfaces together, whereby said rails are stabilized in a locking relationship. 2. The set according to claim 1, comprising four of said rails, the hook-shaped part of each said rail subtending an angle on the order of 90.degree. as measured from said axial line. 3. The set according to claim 1 wherein said locking member is circular in cross-section. 4. The set according to claim 3, wherein said locking member is cylindrical. 5. The set according to claim 3, wherein said locking member is slightly conical. 6. The set according to claim 1, wherein said locking member comprises a single elongated plug extending the length of said hole. 7. The set according to claim 1, wherein said locking member comprises a pair of plugs, each said plug being relatively short with respect to said cylindrical hole and being inserted at one end thereof. 8. The set according to claim 7, wherein each plug further comprises a square end plate of a size sufficient to cover the total cross-sectional area of said rails. 9. The set according to claim 1, wherein the contact faces of said base parts bearing against each other run diagonally with respect to said rails and extend radially from said axial line, each hook-shaped part comprising a base portion having an essentially linear inner face, an axially extending shoulder, an outer portion having an arcuate inner face, and an axially extending outer face, whereby said outer face of each hook-shaped part mates with said shoulder of each adjacent hook-shaped part. 10. The set according to claim 1 wherein said locking member is adapted to be expandible while disposed in said hole. 11. The set according to claim 1, wherein said locking member is integrally formed with one of said rails. A cup is made from sheet material. The cup has two opposite side sections for forming a cylinder with one of a gutter-like and spout-like shape in an open state of the cup, a rectangular including square bottom for serving as a base for the cup in the open state of the cup, and folding lines in the side sections that form sides and bases of two isosceles triangles. The folding lines that form the bases of the two isosceles triangles form two of four edges of the bottom. A central folding line in the bottom is parallel with the other two of the four edges of the bottom and runs along a center line of the bottom, connects to the folding lines of the bases of the two isosceles triangles and continues up along the perpendicular of the two isosceles triangles and the side sections to a rim of the side sections and cup. This divides the side sections into pairwise congruent surfaces with insides that bear upon each other when the cup is in a collapsed state. Click on a link under View Patent Image to view a section of the image or click on a link under Download Patent Image in PDF format to download a section of the image in PDF format. PDF files can be viewed, saved, and printed using Adobe Acrobat Reader . Adobe Acrobat Reader is available for free download from Adobe's Web site. If you have any difficulty accessing content, you can call the Client Service Centre at (819) 997-2985 or send them an e-mail at CIPO Client Service Centre. A composite panel, with a core member; a cover plate glued to the upper side of the core member, and also a cover plate glued to the lower side; and with an edge strip secured to the rim of the core member. The composite panel substantially avoids dimensional tolerance problems which can arise at the edge strip, and high demands made during technical use, and by designers, can be met by the panel. The edge strip includes two corner strips which extend centrally from the edge strip and which have a width which is precisely, i.e. with negligible tolerance, predetermined. The edge strip also has a central strip. The core member comprises peripheral ledges which extend centrally from the upper and lower sides with precisely predetermined thickness, and an intermediate component arranged between the ledges. The thickness of the peripheral ledges is adapted to the width of the corner strips of the edge strip. Applicants: NEWMATE ApS. [DK/DK]; Postboks 26, Møllegårdsparken 4, DK-8355 Solbjerg (DK) (All Except US). WIKA GROUP A/S [DK/DK]; Danmarksvej 18, DK-8660 Skanderborg (DK) (All Except US). VINTHER, Knud [DK/DK]; (DK) (US Only). Representative: VINTHER, Knud; Moellegaardsparken 4, DK-8355 Solbjerg (DK) . Abstract: An electric cable panel designed to contain and coordinate electric cables indoors in buildings, and which is designed to conduct the electric current or the electric signals and impulses from a fixed installation place to one or more consumption places in a building, where sockets are connected at cable outlets from the cable panel. The cable panel (1) is manufactured from a closed and massive, electrically insulating material in the core of which, behind the massive front cover, cables are embedded or inserted, said cables being pipe-shaped and preferably manufactured from copper and their centre lines (2, 3) being indicated along the cable panel front by lines or grooves (5, 6), said lines or grooves being placed straight in the level of the cables and indicating the connection spots for electrically conductive machine or wooden screws (8, 9, 13, 14). Designated States: AL, AM, AT, AU, AZ, BB, BG, BR, BY, CA, CH, CN, CZ, DE, DK, EE, ES, FI, GB, GE, HU, IS, JP, KE, KG, KP, KR, KZ, LK, LR, LS, LT, LU, LV, MD, MG, MK, MN, MW, MX, NO, NZ, PL, PT, RO, RU, SD, SE, SG, SI, SK, TJ, TM, TR, TT, UA, UG, US, UZ, VN. African Intellectual Property Organization (OAPI) (BF, BJ, CF, CG, CI, CM, GA, GN, ML, MR, NE, SN, TD, TG).